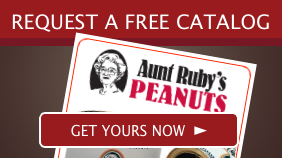 People who are trying to consume less sodium in their diets may want to try delicious, unsalted peanuts courtesy of family owned Aunt Ruby's Peanuts. Located in Halifax County, North Carolina, peanut lovers are sure to love snacking on these jumbo sized, water blanched peanuts roasted in natural corn oil. Large and crunchy, cocktail peanuts satisfy anyone's craving for a healthy snack while watching a favorite movie at home. Selling gourmet peanuts since 1945, consumers now have opportunities to eat peanuts the way they are supposed to taste. Available in double sealed reusable 20 oz. and 40 oz. tins, a customer can buy anywhere from one to 20 tins of unsalted peanuts. 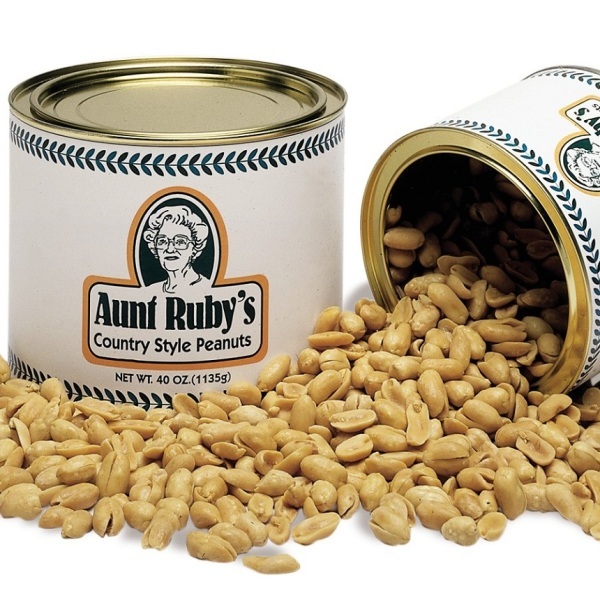 Delivered to a person's doorstep in a timely manner, the double sealed tins keep Aunt Ruby's Peanuts tasting as fresh as the day they were packed. Roasted peanuts available in a local grocery store are often barely roasted. The peanuts may taste as though they are raw. It is not easy to find unsalted peanuts roasted to perfection. Featuring a rich, golden brown hue, these large cocktail peanuts satisfy the most demanding appetites. Customers who appreciate the quality of these unsalted peanuts can order several tins throughout the year for themselves or gifts.